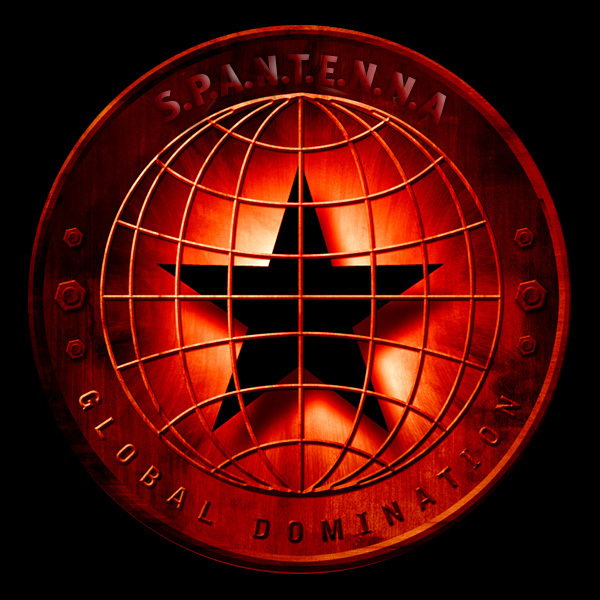 Spantenna is a revision of the My Favorite Shows website that was started in 1997 by WebMistressGina. The initial idea behind the original site was to showcase the writings she had been doing for the Get Smart mailing list, though mostly it was to showcase her own original works. With the distractions of real life, the site began to change into a fan site, with close attention to Get Smart and Scooby Doo. The first MFS (as it was nicknamed) had four sections – Get Smart, Scooby Doo, The Monkees, and Dangermouse. As she wrote more and more for Get Smart and doing more with Scooby Doo, sadly the Monkees and Dangermouse sections began to falter. Finally in 2001, WMG scrapped the last two sections and replaced them with Reboot, a show she had recently discovered. GS and Scooby didn’t change. Around 2005, WMG began to get an interest within the Knights of the Old Republic series of video games. Feeling a sense of disappointment with how the ending of the second game went, she began work on the story Force of Echos. Following a second playing of both the original and the second game, she began Knights of the Old Republic III: Revenge of the Sith, with more attention being spent on the entire Star Wars mythos as it related to the games. This was then followed by the official launching of a KOTOR section within the MFS. With the introduction of this reinvention of the MFS, a new section has joined the MFS legacy and that is the Teenage Mutant Ninja Turtles. While the majority of the site is either fan fic or original works as the driving force, there are future plans to re-add the Scooby Doo section, despite never having any writing within it. With the addition of a Scooby section, only two areas of the original MFS will have been continually been featured on every reincarnation of the site; the other being Get Smart. WMG, which stands for WebMistressGina, is a native of Arizona and currently resides in Denver, CO. Learn more about the person behind WMG. Since 1997, WMG has written in many fandoms, including Reboot, Star Wars Knights of the Old Republic, Teenage Mutant Ninja Turtles, DragonBall Z, and the show that began it all, Get Smart. Her many fictions can be found on various sites, including Fan Fiction.net, The RB Corner, and the KOTOR fan media site. Members of the Get Smart Fan Fiction list have enjoyed a wide variety of things that Gina has not published to the masses. Though she is using canon characters and locations, WMG had not only created her own characters, but her own universes that fit within the areas she’s writing. What’s the rating of the site? The site in general is pretty much friendly to everyone, however there are cases where some stuff probably isn’t appropriate for the little tykes and those under 13 and some stuff might even be better for those 18 and up. You can check the general disclaimer to find out more. Will the Other Sections of the MFS site return? As the MFS grew, certain sections of the website were replaced or scraped. This included the Monkees, DangerMouse, and Scooby Doo. Additional add ons to the Get Smart section – The MiSTs, Wiggles & Giggles – as well as those of ReBoot – The Mike Show – become popular among the fans of those particular shows. In all likihood, the previous sections will probably not return, however the addons most likely will, with new features added to each. The site looks really cool! Who designed it? The current website was designed by Spydersoft, LLC and is hosted by Adiuvo, LLC. For information about these companies, please click on their links to visit their sites.